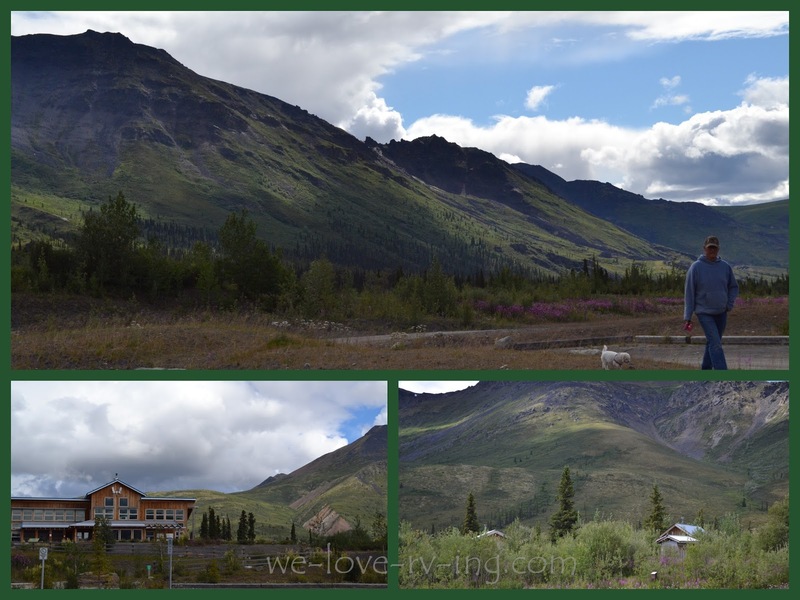 Today was the beginning of our travels up the Dempster Highway, very famous for its rough terrain and potholes. We are prepared with extra tires and supplies as we set out to travel 737 kilometres (458 mi) to Inuvik, NWT. That mileage begins once we reach Hwy 5 after driving 64 km. to the junction from Dawson City, Yukon. It is very rainy and wet so the view will be limited until we get past this part of the day. Our temperature was 12C (53F) midmorning with very little improvement in the weather all day. This was the weather for much of our day so we were not getting to see the great views. It was on our return when the weather was better that we saw some incredible scenery and I will also share those photos here. The Tombstone Interpretive Centre is about 70 km up the Dempster in the Tombstone Territorial Park and we made a stop here to have a look around the Centre. It is very interesting with lots of history and information. The building itself is also unique as it is ‘off the grid’ and exceeded the standards set by Canada’s Green Building Council. Our next stop was at Two Moose Lake where we had some lunch but as much as it is named due to the fact that moose hang out here, there were none. Back on the road again and we later saw a mother and young moose running across a distant field. They are tundra moose, the largest in North America. Our return trip definitely gave us better views. We did have clouds and some rain but nothing like we had coming up this way the week before. It took us four days to reach Inuvik and after our stay there it took three days to return to Dawson City. 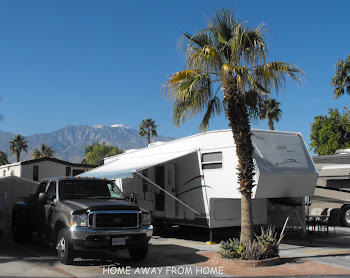 There are few camping parks along the way but we did stop at Engineer Creek Campground. It was filled with big trees so was a dark park. It was still raining so hard and although we had not seen any mosquitoes up to this point, there were gazillions of them here. We didn’t even get out of the truck and decided rather quickly we would move on. 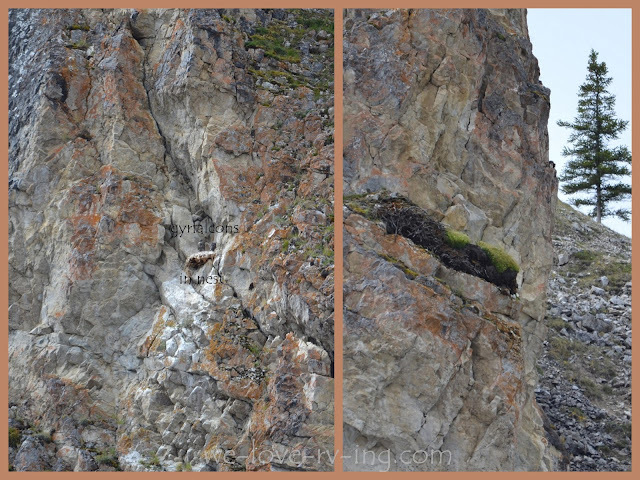 We were able to see some nesting gyrfalcons high on the rocks. We had read they would be here, but unless one knew to look, they’d be very hard to see. Thankfully, our leading guide with the ‘eagle’ or shall we call it ‘falcon’ eye, spotted them. They are the largest falcon and are a bird of prey. 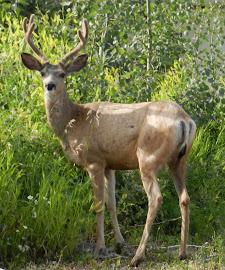 The female is the largest of the two and they breed in the Arctic and tundra. It was quite a thrill to see them. We saw several beaver dams on our travels, and they all seemed so big. It would have been nice to see a beaver but that didn’t happen. What we did see was a peaceful looking lake along the roadside. There was a pull out called Elephant Rock rest area on the side of the road with no one else there so we parked our vehicles and stayed for the night. The camera lens could not see it but with the help of a telescope, I was able to get a photo of Elephant Rock! We were right on the Ogilvie River so there was some fishing done. The fishermen had some luck but did not keep any fish as it was ‘catch and release’. This turned out to be a great stop, no rain and no mosquitoes! We had a campfire going and enjoyed the peaceful evening watching the river pass by. The time went by and before any of us realized it, it was almost midnight! And the sun was shining on the mountain across the river. Sure could not miss a photo opportunity like this. Day one on the famous Dempster Highway was completed and we did not have one flat tire. It was a great day in spite of the rain but thanks to that, we sure did pick up a lot of mud on our vehicles! Wasn't the first time and wouldn't be the last, either. Join us as we carry onto the Arctic Circle.